MIAMI BEACH — Amid all the predictable fare in Art Basel Miami Beach’s Public sector, installed in Collins Park alongside the Bass Museum of Art — your Ernesto Neto hammock contraption, your Justin Matherly concrete-and-walker figure, your shiny bronze Elmgreen & Dragset provocation, your Georg Baselitz primitivist giant — is a set of bravura works by women artists. 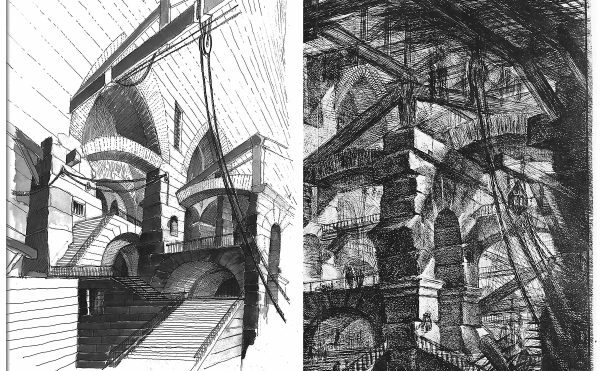 Their glowing, ungainly, and frequently flippant sculptures are improbably well suited to the setting. The most impressive is Jessica Stockholder’s new “Angled Tangle” (2014), a colorful jumble of streetscape accessories — including a small hamlet of bright blue and yellow bollards — that Public curator Nicholas Baume (of New York’s Public Art Fund) has positioned directly in front of the Bass Museum’s main entrance, as if to divert pedestrian traffic around the park. Three other variations on staples of urban and park design dominate the central lawn. 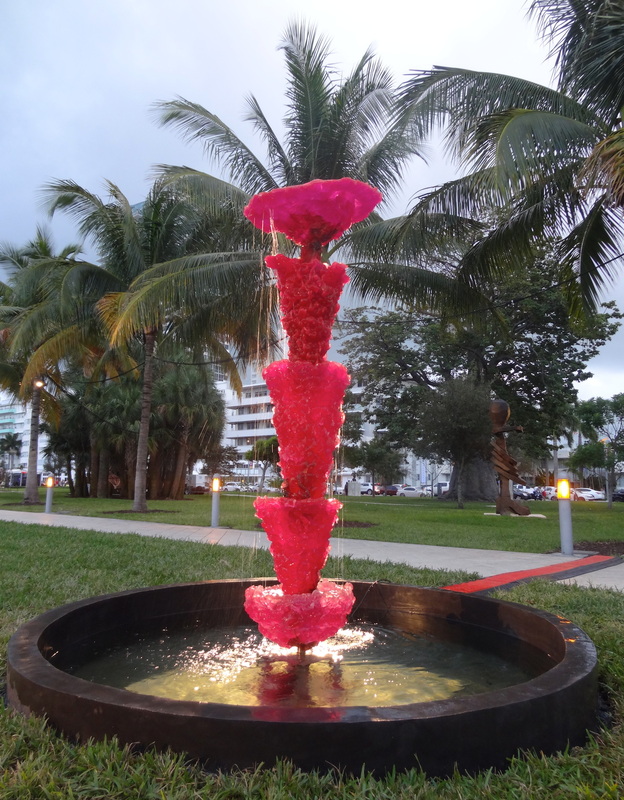 Lynda Benglis’s “Pink Lady” (2013), made from a stack of drippy cones of hot pink polyurethane, playfully reinterprets the proportions of classical fountain statuary. Nancy Rubins’s “Our Friend Fluid Metal, Chunkus Majoris” (2013), one of her characteristic sprawling sculptures in which dozens of one type of large and cumbersome object are strapped together with steel cables, is a wicked jumble of old spring-mounted toy animals from children’s playgrounds. 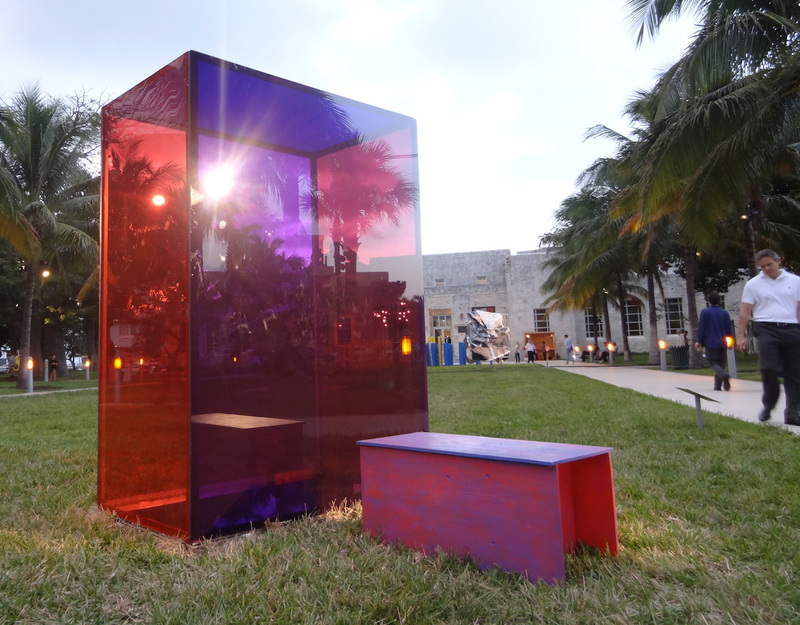 Sarah Braman’s purple and red glass box “Door” (2013–14) figuratively and actually reflects the crystalline architecture of Miami Beach. A small bench in front of the sculpture, based on seating in Braman’s studio, seems intended to accommodate the inevitable selfie snappers. 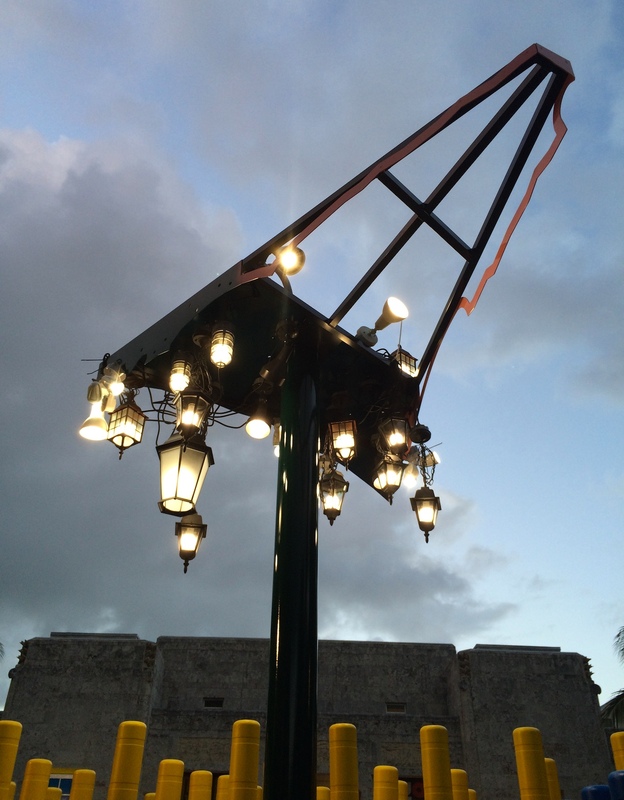 Nearby, Nuria Fuster’s “Pump Iron” (2014) also seems to be gently poking fun at South Florida’s appearance-obsessed culture. 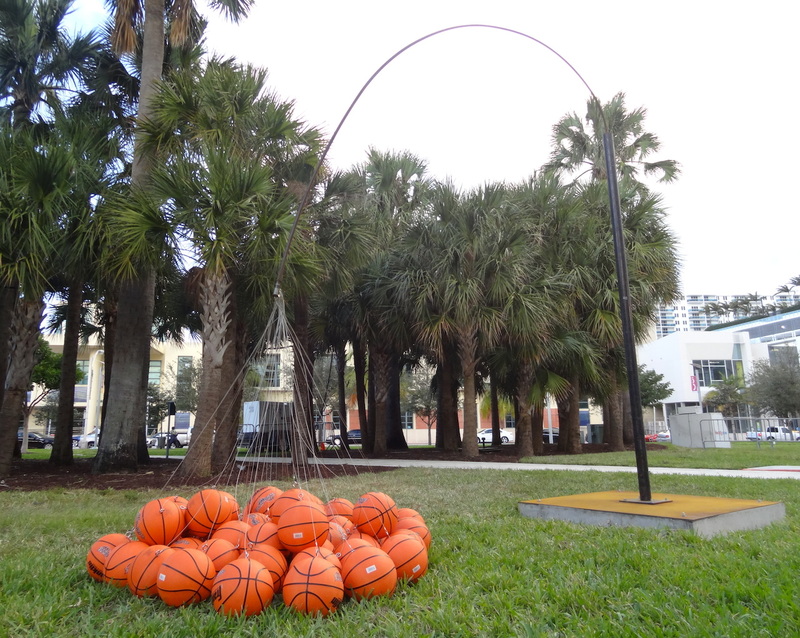 The work, with its arching iron arm weighed down by the dozens of basketballs tied to its tip, evokes the bent steel of the Castiglioni brothers’ iconic Arco floor lamp. 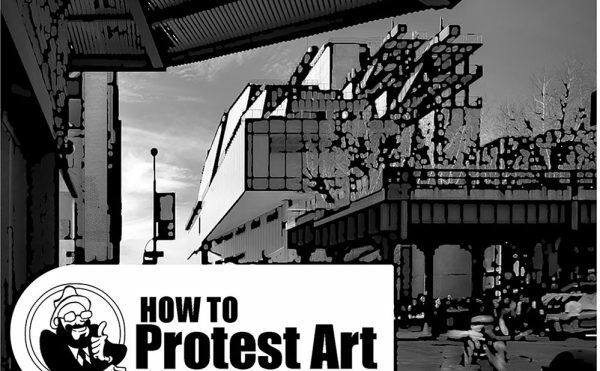 An excellent alternate title for the piece would have been “Disequilibrium,” since it coincidentally doubles as a slam dunk satire of Jeff Koons’s floating basketballs. Ana Luiza Dias Batista is responsible for the sculpture park’s most unsettling piece, “Eva (Eve)” (2014), a replica of an amusement park attraction in São Paulo that was popular in the 1980s: a giant figure of a woman lying on her stomach that visitors entered through a doorway cut into the shoulder and exited via another door near the ankle. Here, shrunk down to human size and installed in the grass, the work initially resembles an outstretched park goer, making the discovery of the large holes in her side all the more disquieting. 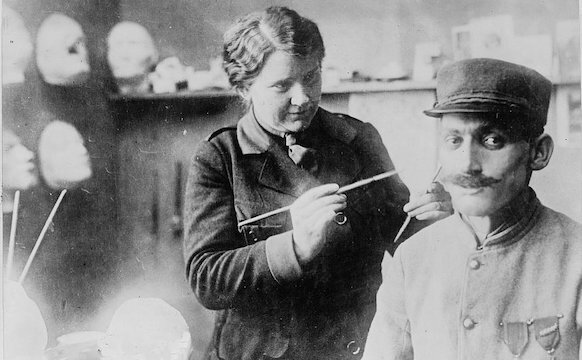 Two other standout works by women artists resemble makeshift interventions by some nomadic tribe that passed through the fastidiously manicured and maintained park. 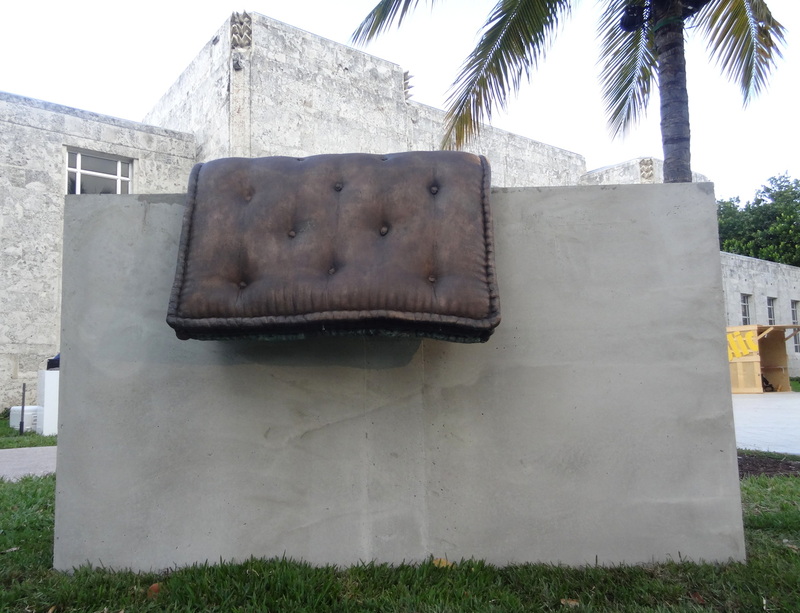 Tatiana Trouvé’s “Waterfall” (2013) features what looks like a soiled mattress slung over a five-foot-tall slab of concrete. 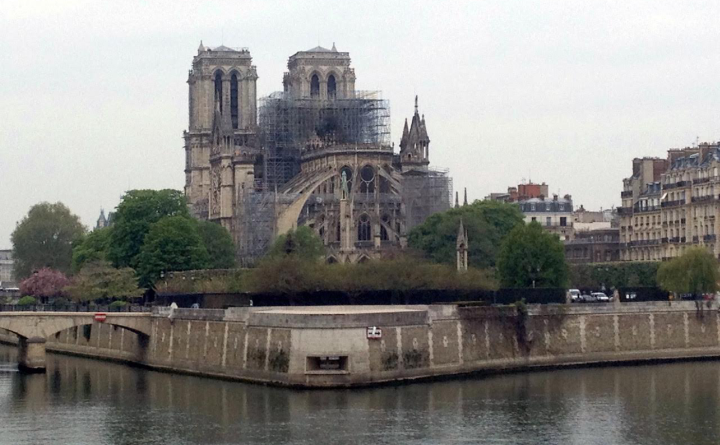 The mattress is actually an absurdist fountain cast in bronze and outfitted with a water supply system. 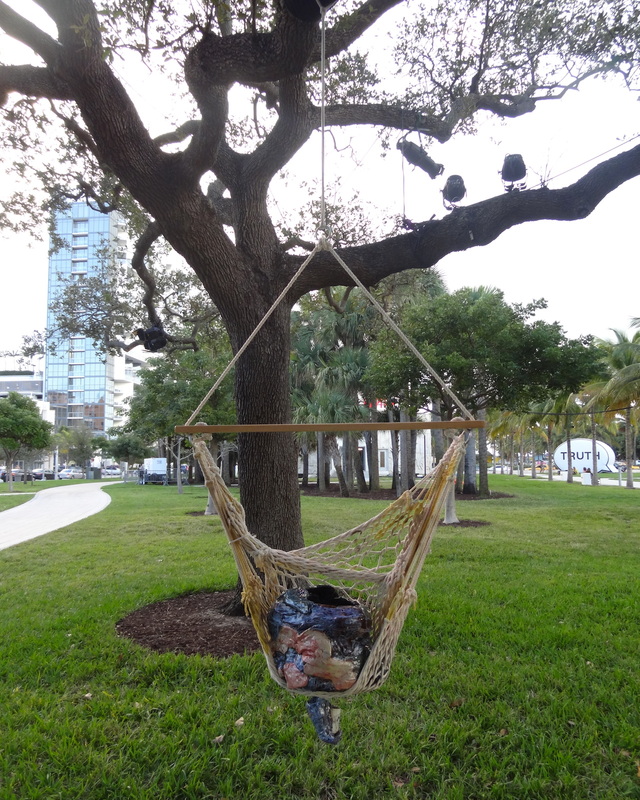 At two nearby spots in the park, Jessica Jackson Hutchins has suspended hammocks that hold her unwieldy abstract ceramic sculptures. The piece, “Him and Me” (2014), further humanizes and domesticates the public space, echoing the sense of mischief and inventiveness in the works by Stockholder, Benglis, Fuster, and others. 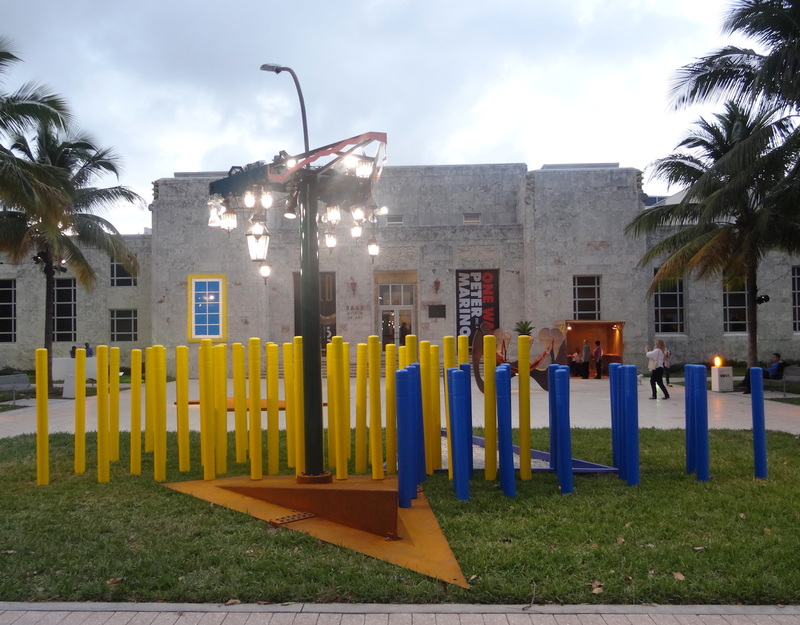 Art Basel Miami Beach continues through December 7. 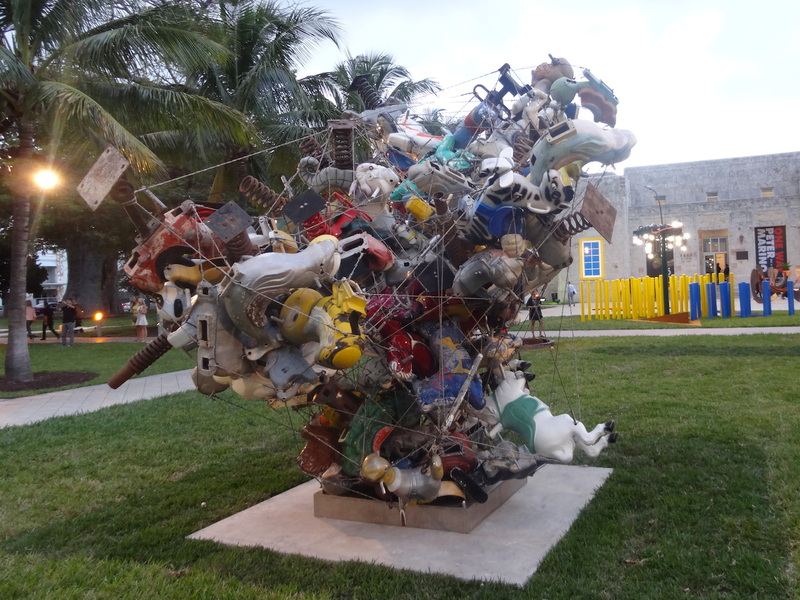 The Public sector is located on the grounds of the Bass Museum of Art (Collins Avenue and 21st Street, Miami Beach). Correction: This piece originally named Jessica Stockholder’s piece as “Angled Triangle”; the correct title is “Angled Tangle.” It has been fixed.